Increases ‘open‘ (working) time of acrylic paint. Reduces paint skinning-over on palette. Increases blending time, making blending of colors and detail brushwork easier. 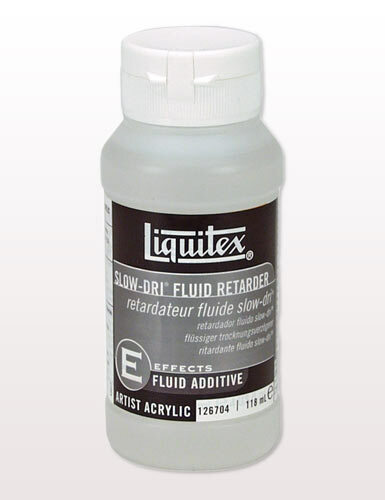 Mix with Liquitex acrylic paints and mediums to retard drying time up to 50%. 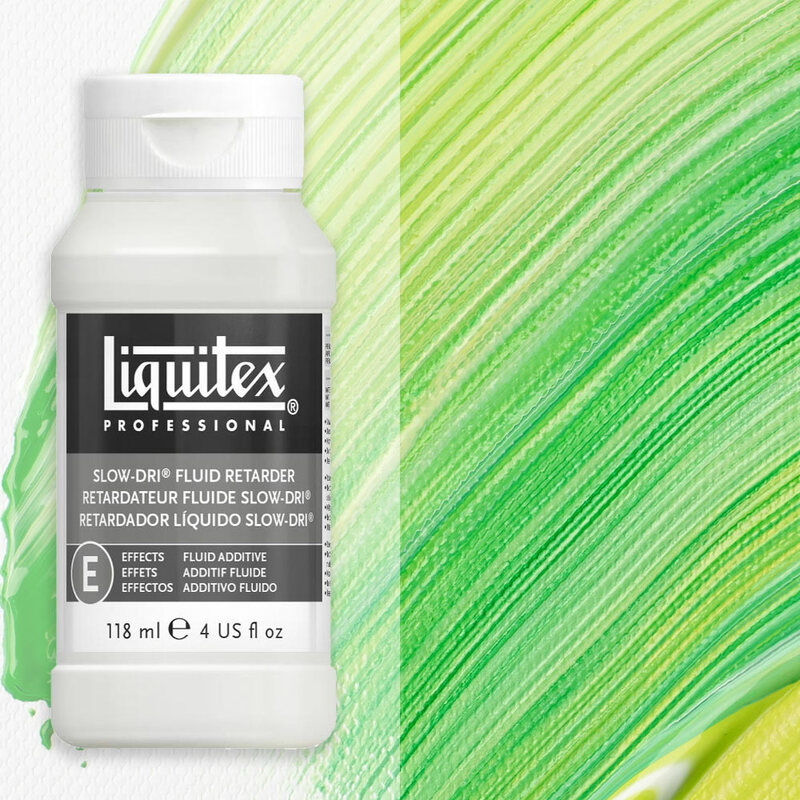 Fluid consistency, made to be used with Liquitex Soft Body Artist Color and Soft Body mediums. A fluid that slows the drying time of acrylic paints and mediums by up to 40%. An absolutely essential additive if working in drier climates. Mix into the paint when on the palette to slow the skinning-over of paint and increase blending time. Should not add more than 25% as there is no binder and it can weaken the stability of the paint film when too much is added. Always have some lurking. You might think it a little heavy on the pocket. But 1 bottle lasts for ages. I only just bought my second bottle 3 years after the first.